We embrace our status as a Registered Investment Advisor, which positions us well to fulfill the requirements of pending Department of Labor regulations. Our commitment to serving as a fiduciary for all clients has long been embedded in the ThirtyNorth culture, and we enjoy the ability to render independent and objective advice. We are sensitive to the obligation of plan sponsors to manage costs while maintaining outstanding service and investment options, and endeavor to partner with the best and offer highly competitive services. People are a company’s most important asset, and their sense of financial security is a critical measure of the health of their retirement plan. 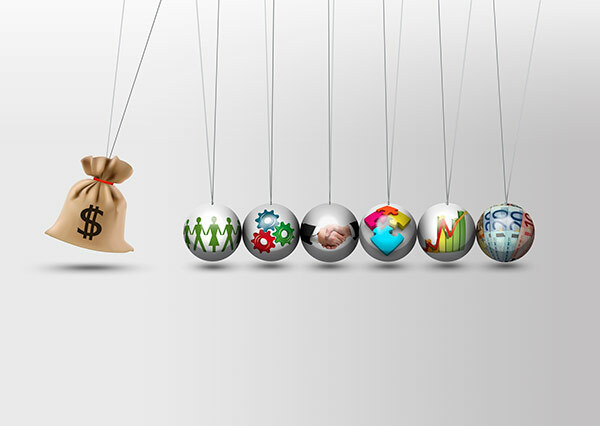 ThirtyNorth Investments’ open architecture platform for designing plans includes an expertly chosen array of investment options designed to meet the unique needs of our clients for a reasonable, transparent fee. As pensions decline in popularity and political uncertainty continues to raise concerns regarding the future of Social Security benefits, employer retirement plan sponsors are increasingly alert to their responsibilities as fiduciaries. ThirtyNorth has stepped in to serve as an objective, independent expert that specializes in retirement plan administration and retirement readiness success. Here at ThirtyNorth we believe in the power of objective investment analysis. That’s why we evaluate investment opportunities for retirement accounts using our proprietary scoring methodology, the ThirtyNorth 401(k) Score or THIN(k). *Analyzed and weighted across three or more time-frames. ThirtyNorth can provide support to Plan Sponsors to ensure they are fulfilling fiduciary standards and providing optimal service to plan participants. 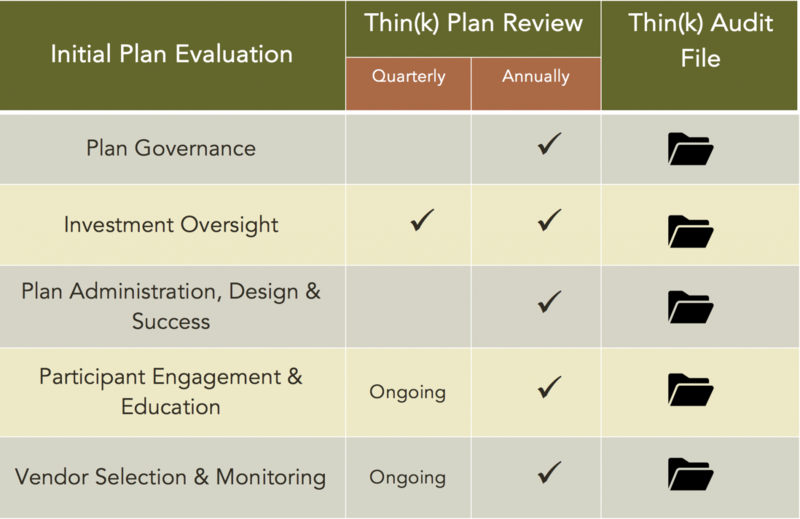 The table below outlines support services across all components of plan evaluation. Click on the rows below to load a checklist of key questions and action steps for each component. Today, plan sponsors are confronted with a myriad of decisions to be made that will impact fiduciary liability, plan investment offerings, and ultimately, participant outcomes. As a plan sponsor, it is important to not only understand fiduciary responsibilities, but also to make informed decisions on which functions can or cannot be delegated to an advisor. At ThirtyNorth Investments, we have the capacity to serve as an ERISA 3(21) or ERISA 3(38) plan fiduciary. Learn More! SIGN UP TO RECEIVE THIRTY NORTH LATITUDES, OUR MONTHLY NEWSLETTER THAT COVERS A WIDE RANGE OF FINANCIAL AND RETIREMENT PLANNING AND INVESTMENT TOPICS.